March | 2013 | We Can't Hear the Mime! Sometimes I wonder what it was that drew me to films before I truly understood them. From the age of about 9-14 I would confidently tell the world that this was my favourite film. I looked back today to see if I could find what I had seen, but could never justify, all those years ago. A portrait of growing up in one of the most adverse situations, this film rests almost entirely on the shoulders of the young boy playing our protagonist Jim. Fortunately this actor is Christian Bale, aged 13, giving a performance that makes you sad that he’s currently best known as Batman. In these two and a half hours, Bale shows us a boy changed from spoilt, prim and naïve to a strong, compassionate and intelligent teenager. The film is basically made by Bale’s performance since the other characters (despite including such names as John Malkovich and Miranda Richardson) are more foils to force Jim’s reactions and growth than anything else. Spielberg allows the character to progress slowly, letting the changes come on gradually and subtly. Even Jim’s sexual awakening, despite its inherent uncomfortable nature, is handled with grace, but not passed over as if irrelevant. Perhaps this is a testament to a rich source material, after all this is adapted from a memoir. Where else could you find such a sympathetic perspective towards someone spying on another’s intimacy? Yet I digress. What the film captures is more than a memoir, it is a series of emotions; emotions of a boy stuck between childhood and adulthood and dealing with both. He is necessarily erratic, demanding and needy but that doesn’t take away from his ambition to better himself, and his will to survive. Visually the film is driven by surreal metaphor; an atomic blast becomes a soul in heaven, a toy aeroplane symbolises youth and a suitcase becomes a coffin. There are certainly some striking images that stay with you; the opulence of a fancy dress party next to the screaming, war-torn homeless, or the abandoned artefacts plundered from the rich and forgotten about. Wealth is useless in war. We understand this and so does Jim. Our protagonist often finds himself around aeroplanes. We imagine that had life turned out differently he could have been a pilot. We are poignantly reminded of this fact by a boy who echoes him on the other side of the POW camp wire. The boys recognise each other as kindred spirits despite the physical and metaphorical barriers of war. It is Jim’s respect for these pilots and his understanding, that even his imprisoners are not so different to everyone else, that leads to his survival. War is equated with innocence for this one boy. He cannot imagine a ‘normal’ life by the end of the film. We see throughout that this is a child who wants to surrender, but somehow this is lost along the way. Even in what should be a happy ending he seems out of place among his own family. It is a bittersweet film. We’ve seen the struggles Jim has been through to survive but we wonder if something more has been lost along the way. This entry was posted in Film Reviews, Personal Screen and tagged Christian Bale, Empire of the Sun, Film Review, John Malkovich, Miranda Richardson, Steven Spielberg on March 31, 2013 by Flo. I went into this film absolutely blind, with only vague knowledge of the director (François Ozon) to guide me. It felt like a full-throttle hurtle down the rabbit hole. The world on screen is rendered in absurd stereotypes and over-bright shades of candy pink and lime green. However, once you settle into the experience, it becomes clear that these women, in their high heels and colour co-ordinated gowns, are just like any other women. The film is also a musical. The first moment when song is spontaneously broken into requires an almost monumental suspension of disbelief. Yet as the film progresses you see that each song is in fact a character study, almost an aside, revealing the motives of each and connecting the absurdity to the real emotions we all experience. While the script is quite clearly adapted from a play, the film plays up to this. It allows the dark comedy to become even more farcical as the claustrophobia creates situations that were hitherto ridiculous or outright unthinkable. As the women make a good show of working together on a whodunit mystery, they are all hiding dirty secrets from one another. These eventually come out and pile on top of themselves as a parody of, or perhaps a light-hearted re-enaction of, the worst family reunion imaginable. Yet this is a genuinely entertaining film. The repartee is sharp and the situations linger so lightly on the balance between plausibility and farce that you cannot help but laugh out loud over and over. While this could all come across as over-bearingly quirky, I found it to be a neat and charming film well worth the watch. This entry was posted in Film Reviews and tagged Catherine Deneuve, Danielle Darrieux, Film Review, Francois Ozon, french cinema, french film, Ludivine Sagnier, Virginie Ledoyen on March 26, 2013 by Flo. Adapted from the bestselling book that I somehow managed to never read comes a not-quite-rom-com. While the film contains what is clearly a moving and poignant narrative, virtually nothing else lives up to the potential of the story. Jim Sturgess’ performance is hands down the best part of the film. His portrayal of a troubled youth turning into a man full of regrets is so perfectly pitched that the hair and make-up department is barely necessary; the entire process of age is seen in his body and eyes. Unfortunately the same cannot be said of Anne Hathaway. Despite being perfectly capable of playing the role she gets stuck with the effort of conjuring an English accent, a feat she almost manages. Unfortunately this comes to the detriment of every word she speaks, making her character painfully one-dimensional. It doesn’t help that she also plays the part with an affected awkwardness that makes her utterly abhorrent for at least the first thirty minutes of the film. The pacing of the film is bizarre. While the film lends itself to an obvious and bold structure of short segments the years seem to blur into one, making the main narrative conceit all but disappear. It feels as if the film is embarrassed to be moving a year every five minutes and hides the transitions as subtle, overly discreet date markers. This results in the film feeling simultaneously rushed and stuffed to the gills. You feel like too much plot has happened in a short space of time only to realise that three years have subtly passed without so much as a pause in the music. There are sub-plots going on all over the place but the characters are pretty consistently forgettable and dull. Nothing really holds the attention of a viewer, the couple is inevitably going to end up together and so all the rest is just awkward suspension of their reconciliation. The whole film is tinged with a sad blandness. It serves the bill as something to watch on a date, just like so many have before it, but has no staying power in the annals of rom-coms or even roms. 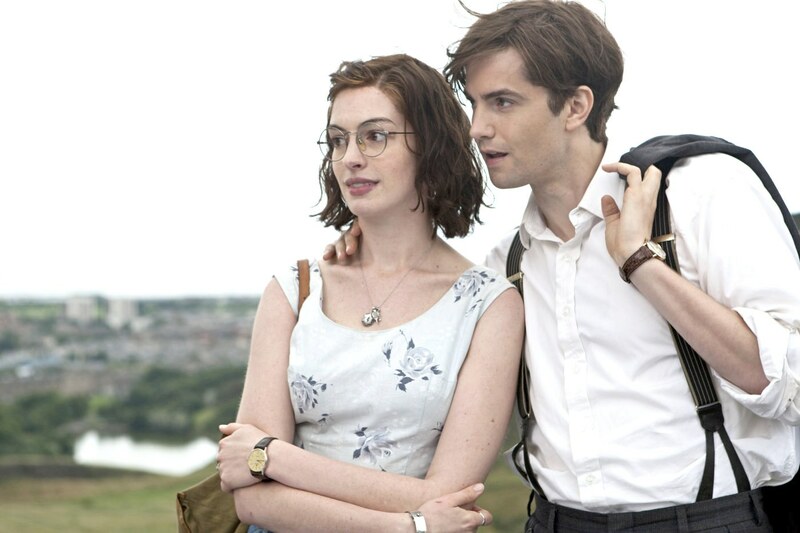 This entry was posted in Film Reviews and tagged Anne Hathaway, David Nicholls, Film Review, Jim Sturgess, Lone Scherfig, One Day on March 24, 2013 by Flo. I have been lucky enough to see this gem of a film twice now, firstly at the London film festival back in October and now today at the preview (General release is the 29th March, I really wouldn’t miss it if I were you). I remember on my first viewing watching agog as the events unfurled in their elegant tapestry. I knew I had to see this film again. It’s been a long wait, but here we are. The film centres around Claude (Ernst Umhauer), a young boy whose writing catches the eye of his professor (Fabrice Luchini) and is encouraged to continue writing his story. However this story is not entirely a fiction. We watch as both men fall close to the line of confusing fiction and reality. From what I’ve said so far it may surprise you that you could almost class this film as a black comedy. It is never outrightly ridiculous but it has a wicked wit so sharp as to be laugh out loud funny. Even through this it never loses its poignancy. Such is the chameleon nature of the film. Once again a love letter to the very act of creation Dans La Maison strays seamlessly into every genre, depicting life in all its forms. The format can become confusing but after a while you realise that it is an existential question. Life is simultaneously a tragedy, a comedy, a farce and a melodrama; it just depends on who is watching. This is illustrated perfectly very early in the film. One scene is played twice, albeit it edited and filmed differently. It is tribute to the Ozon’s delicacy that these tiny changes in the style and action turn the tone from one of mild derision to outright vitriolic scorn. The performance from Ernst Umhauer as Claude is astounding in this film, for a relative newcomer to hold a film of such weight on his shoulders requires a huge amount of talent. Umhauer’s performance is not only skilful but elegant and subtle. A tilt of the head, a certain intonation or look in the eyes and a scene is under his command, switching from heartwarming to sinister as the character commands. He steals scenes from many more accomplished actors throughout the film through sheer grace of expression. That is not to cast aspersions on the other performances in the film, Fabrice Luchini is excellent as the unwitting cause and eventual victim of Claude’s game. While his part seems almost a distraction, an interruption to Claude’s story he becomes more and more involved, more and more lost that eventually their stories become one. Executed with a great technical flair, Dans La Maison is helped along by its soundtrack, a hook that repeats and varies over and over until you forget the original melody, everything in the film echoes itself. Art is a metaphor, the modern art scorned by the characters is in fact the comedy in which they live. The young boy reminds his wife of the old man. It becomes more a meta-narrative than anything else. The end leaves you questioning your own perception of the reality of the film as those you watch question theirs. This entry was posted in European Screen, Film Reviews and tagged Dans La Maison, Emanuelle Seigner, Ernst Umhauer, Fabrice Luchini, Film Review, Francois Ozon, french film, In The House, Kristin Scott-Thomas on March 21, 2013 by Flo. Every so often a director appears with a vision that is so deeply rooted in cinematic language that the resultant film seems to be born solely out of their thoughts. So is the case with Francois Ozon’s Swimming Pool. While the characters may be cultural clichés this merely allows the viewer to have a simple access route to the greater film. Both Rampling and Sagnier are sublime in their roles as two unwilling counterparts. The film superficially centres on the power struggle these women find themselves in. But this is not the real story of Swimming Pool. The real intrigue of the film lies in the search for truth among creation. As the story becomes more and more complex and contrived you can’t help but to re-engage your disbelief and wonder if this is all another creation of a fevered writer, which of course, it is. The film is about writing, about the sinister and arcane act of creating characters, people, out of thin air. Rampling’s character, a detective story author, comes to France to find inspiration for a new story. The question is whether what we see is her story or her inspiration? Who is to say that this imaginative immersion is not simply her creative process? The very act of writing is a form of invention, so how can we trust a writer to every show us the truth? I apologise for the lack of subtitles, however the American trailer alters the atmosphere of the film to such an extent that I cannot condone it as a preview. So, if you’re intrigued I say just go watch the film! This entry was posted in European Screen, Film Reviews and tagged Charlotte Rampling, Dans La Maison, Film Review, Francois Ozon, french film, Ludivine Sagnier, Swimming Pool on March 19, 2013 by Flo. I watched this film a few days ago but put off reviewing it until I could organise my thoughts a little better. I’ve found that the film seems much better in retrospect. This is not to say I didn’t enjoy watching it, more that it matured in my mind like a fine wine and became progressively more remarkable for its tenacity in making me think for nearly a week. The film is a modern fairytale. A tale of hardship and gritty misery that eventually leads to enlightenment. Marion Cotillard is fantastic in her role as Stephanie, a whale trainer who loses her legs in a freak accident. Her story of coming to terms with her new life and new self is so engaging that, after about a minute of surprise, you no longer wonder or care how difficult it was to digitally remove her legs, you are simply drawn into her story. However it is her counterpart, Ali (Matthias Schoenaerts), estranged father and brother that truly shines. If this is a tale of redemption it is truly he who is redeemed, coming back from the brink of horror into the light. Stephanie is merely the guide to living a new life. Yet the film is not cheesy, it is grimy, unpleasant and fraught with anger and frustration. Much of the film is edited to have a dark blue tinge; which is a nice effect but often alters the natural colours so much as to be outright ugly. This, however, is my only gripe with the film which has such a huge heart and such cinematographic beauty that it can be forgiven almost anything. Symbolically the film often calls on the image of water. The water cleanses, brings about change, new life and death. It is a permanent feature; an unstoppable force that reflects every emotion of the characters on screen. However the pinnacle of this film is the scene which acts as the image for this review. It was at this point that I was astonished. Any film which could communicate so much through only music and a few actions, any actress who could bring these emotions to light so naturally, deserved to be watched with all of my attention. This entry was posted in European Screen, Film Reviews and tagged De Rouille et D'Os, Film Review, french film, Jacques Audiard, Marion Cotillard, Matthias Schoenaerts, Rust and Bone on March 18, 2013 by Flo. So finally I review the film my blog is named after, one of my favourite films of all time. 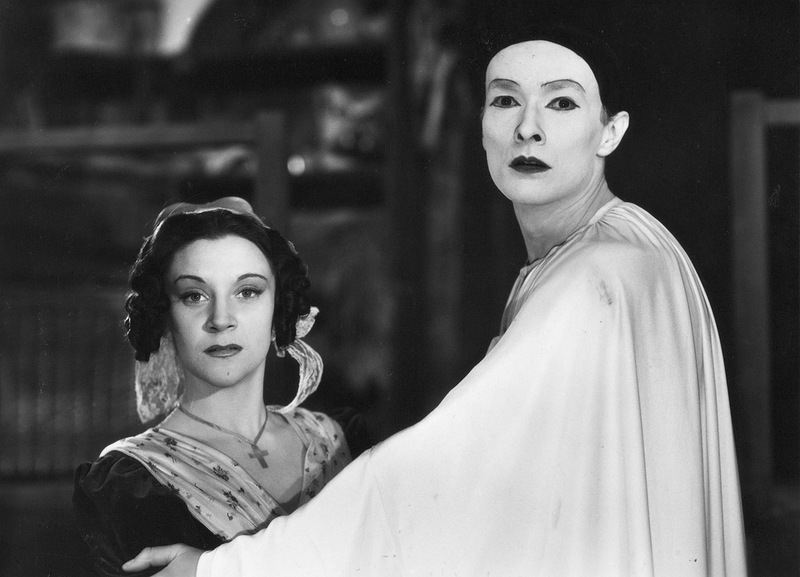 Les Enfants du Paradis takes an age old formula and reinvigorates it. The central doomed love is not simply seen from the perspective of two tragic lonely hearts, they are surrounded by others, real characters with their own hearts and loves. Perhaps it is a warning to not lose what you take for granted but maybe, more tragically it is just a portrait of two people who never quite found each other and never truly will. 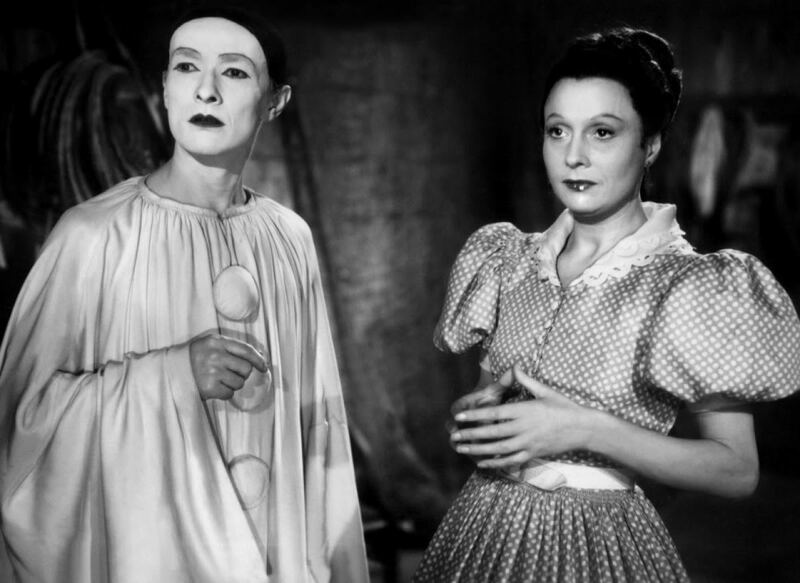 There is an idea in art that those who truly love one another do not belong in this world, this is made clear in Les Enfants du Paradis by the constant references to Othello, a love that was not only not fated but was destroyed by oh so human disease, jealousy. I think it has to be appreciated that this film was made in the midst of the German occupation of France in 1943; production was often halted because cast member were political prisoners. Yet it still bears the craftsmanship and opulence of any great film on such a scale. And it is a film of scale, the three hour epic spans about ten years in the life of at least seven characters, all of whom are fully developed and artfully realised. What’s more is that the script does not allow any character to be the hero, they are all selfish, they all dwell in their unhappiness and hesitate when they ought to act. In short each one of them is tragically human, this is what lends the film its charm, you can see part of yourself in every character, they become realities as you recognise them. Era and manners are irrelevant, this is love and love does not change with the passing of societies. The script is the true cause of this timelessness, as long as there are lovers there will be the moon, there will be Paris, there will be music and there will be those who regret. However the film does not limit itself to speaking only of love, there is a comment on the uselessness of class. The “Enfants du Paradis” the title speaks of are the simple poor people in the Gods. Throughout the film they are envied for their joy, their laughter and their freedom. It is a sad indictment of the myth that money can buy happiness. What is so tragic is that most of the characters are already too far away from the innocence of the “paradis” when we meet them, and so they can never return to the happy society they long for, they are stuck as kept women or successful but unfulfilled artists. Jean-Louis Barrault plays the mime artist Baptiste, and thanks to his own training as a mime is spellbinding. The scenes which are pure recreations of 19th century theatre are as captivating as they would have been for the original audience thanks to Barrault’s elegant physicality and storytelling ability. Rarely has any actor been able to portray such depth of emotion in a single glance. When he does speak the effect is doubly powerful, the man’s whole body is racked with sadness as every emotional blow transfers itself onto the physicality of the performance, leaving the viewer with an impression quite unlike most others. This entry was posted in European Screen, Film Reviews, Gold Screen, Monochrome Screen, Personal Screen and tagged Arletty, Children of Paradise, Film Review, french film, Jean-louis Barrault, Les Enfants Du Paradis, Marcel Carne on March 17, 2013 by Flo.